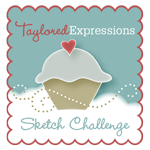 Happy 2nd day of Sneak Peeks from Taylored Expressions! 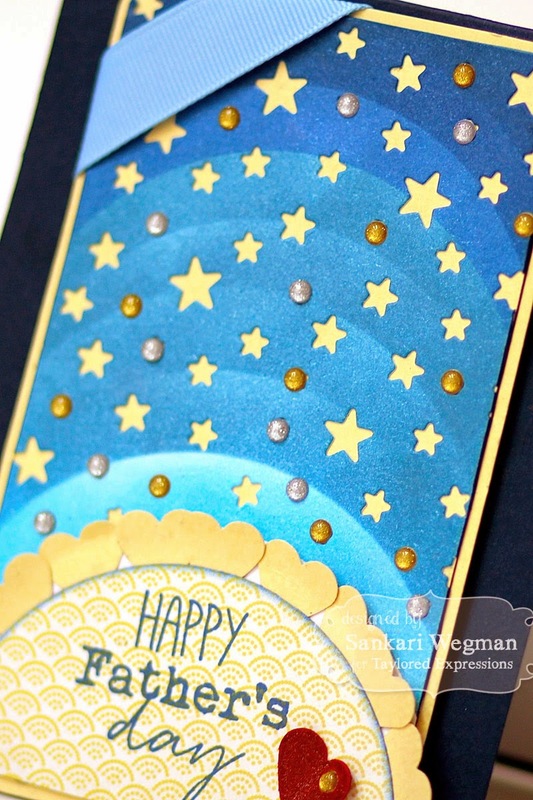 Today I am made two cards using the new stamp set that will be soon released called: Punny Man! Awesome set of sentiments for the favorite man in your life and they are perfectly compatible with all the Little Bits of dies that will be released this month as well!! My first card is made using the new Little Bits - Lawnmower die with this stamp set. 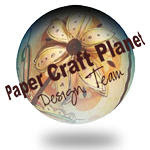 You can easily assemble this lawnmower with different colors of cardstock. 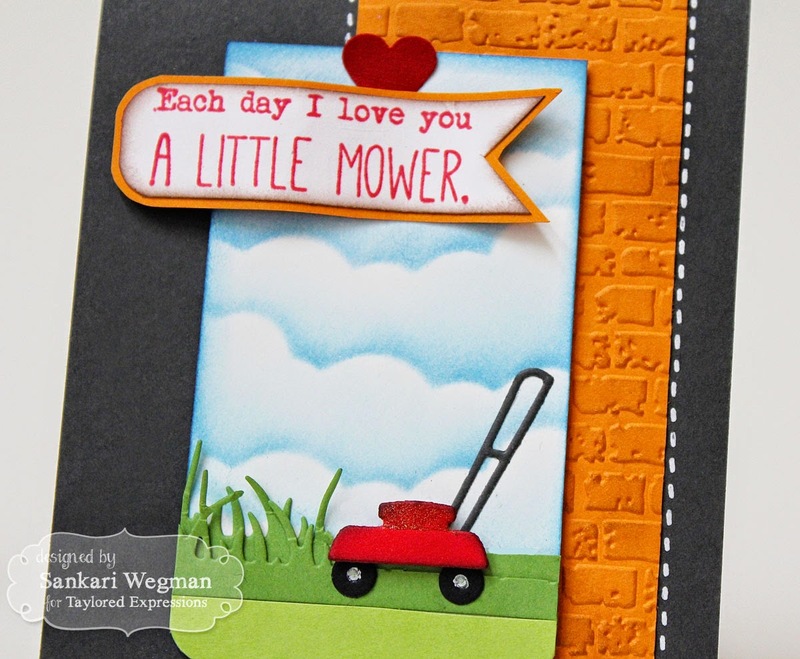 I created this scene and had the grass on one side of the lawnmower wild and crazy and the one where the lawn mower had cut all clean and nice :) And the sentiment is just so awesome: "each day I love you a little mower" - isn't that just the cutest sentiment -- awwww!! 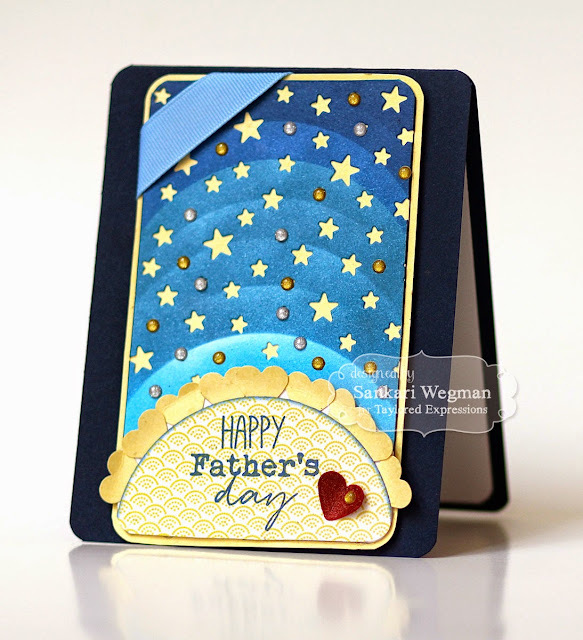 For my second card, I created a Happy Father's Day card using the same Punny Man stamp set and paired it with the new Starry Night Cutting Plate. I inked different shades of blue and then die cut the stars from it and placed a sheet of yellow cardstock behind it. 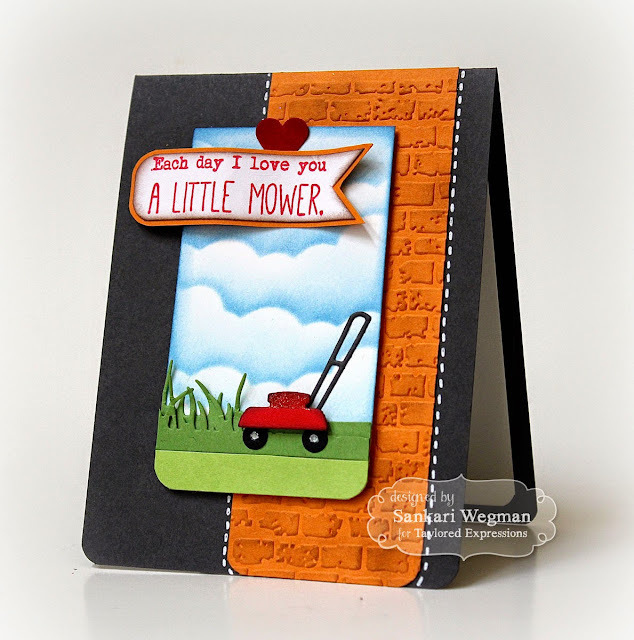 Loving the little mower card! Love these cards. How cute is that mower!! !